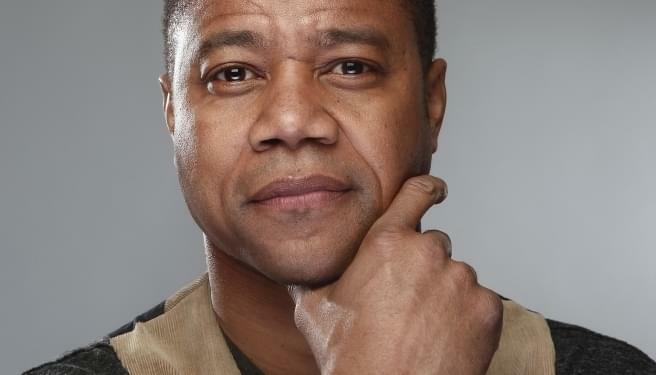 (Listen) Cuba Gooding Jr Interview |Patrick & 4orty| | 96-7 KCAL Rocks! Actor Cuba Gooding Jr. became a pop-culture icon with the catchphrase “Show me the money!” from his Oscar-winning performance in “Jerry Maguire” opposite Tom Cruise. Cuba has appeared in “Men of Honor”, “Boyz n the Hood”, “As Good As It Gets”, and was recently seen in the sixth season of Ryan Murphy’s “American Horror Story: Roanoke”. Gooding earned an Emmy nomination for his performance in season 1 of “American Crime Story: The People v. O.J.” for his portrayal of the famed football player. In his directorial debut “Bayou Caviar”, a Russian gangster (Richard Dreyfuss) charges a former boxer (Gooding) to take down his associate’s son-in-law. “Bayou Caviar” is available in theaters and on VOD beginning Friday, October 5th. Beginning on October 6th, Cuba will also take over the role of Billy Flynn on Broadway in Tony Award winning play “Chicago”.